These calcite crystals are from Irai in Rio Grande do Sul, Brazil. 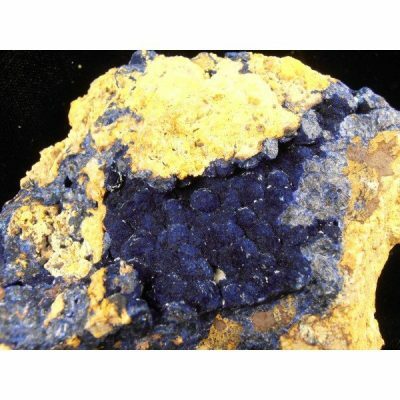 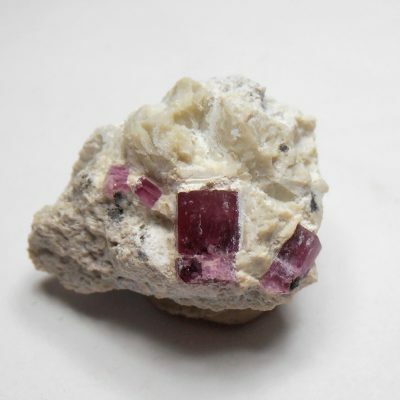 This is a large state known most notably for the amethyst geodes and cathedrals found and exported from there. 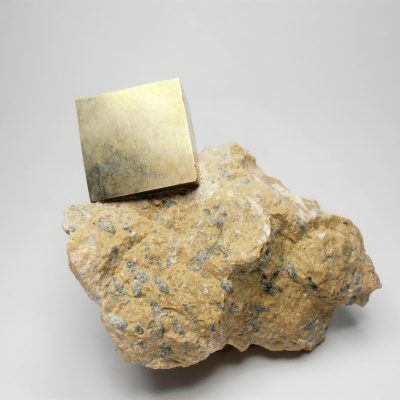 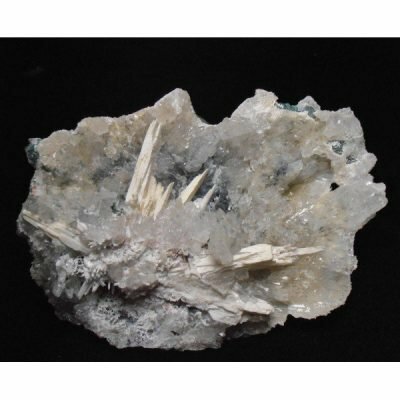 Many outstanding varieties of calcite are also occasionally discovered and sold on the mineral specimen market also. 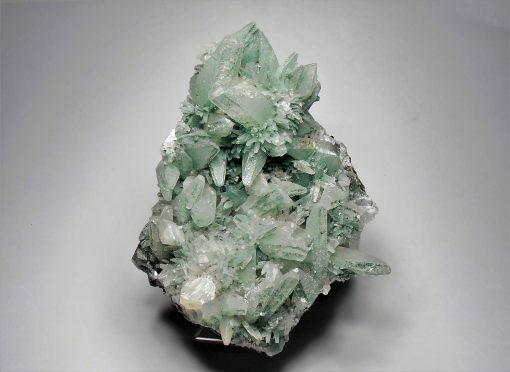 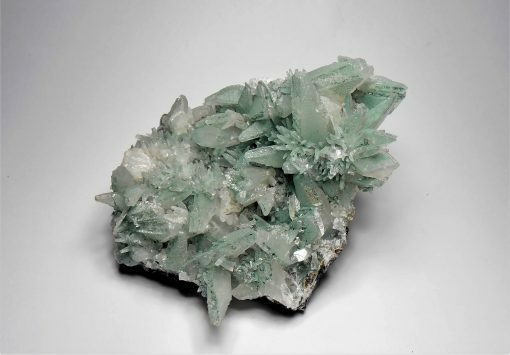 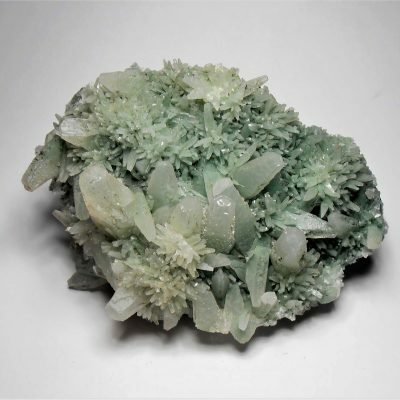 These calcite crystals have an uncommon green color that is caused by inclusions of what is believed to be celadonite. 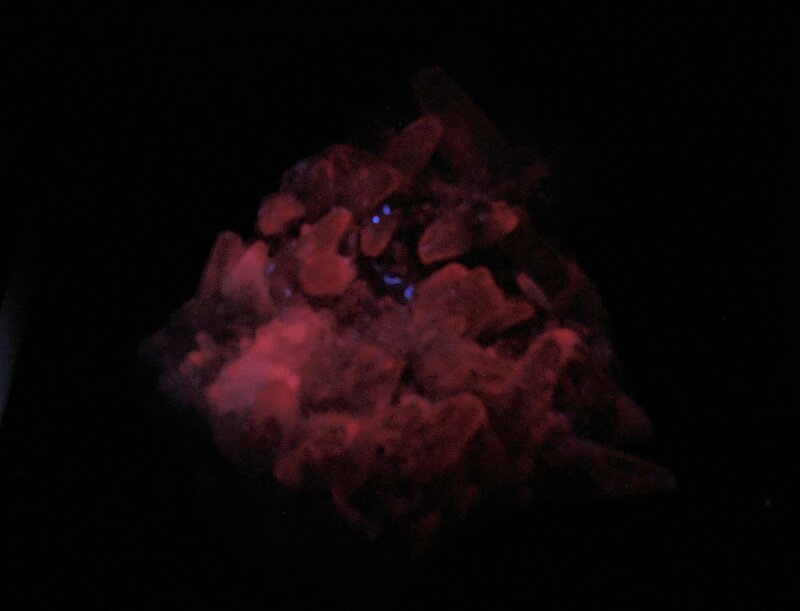 They are fluorescent and photo 3 shows the piece under LW UV light (Ray-Tech Lamp). 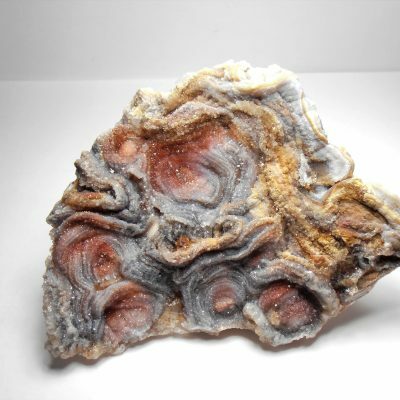 This piece measures approximately 4 1/2 x 3 x 1 5/8 inches or 114 x 76 x 41 mm.